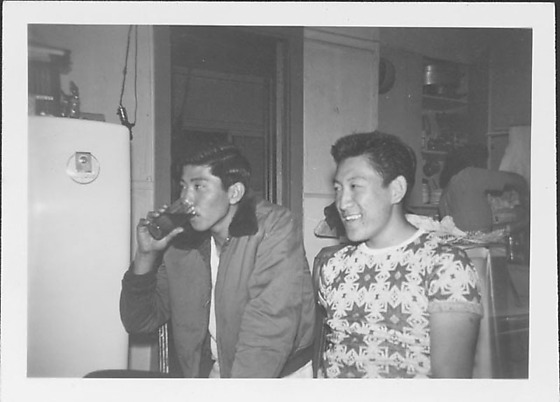 Two young men sit in a kitchen next to a refrigerator; one drinks from a glass, United States, 1948. Man on L wears a jacket with a plush collar while the man on R wears a patterned T-shirt. Both face toward the L. Items on top a table in front of open cupboard in background. Written in pencil on back, T: [circled] D. Stamped in black ink on back, C: 1948.